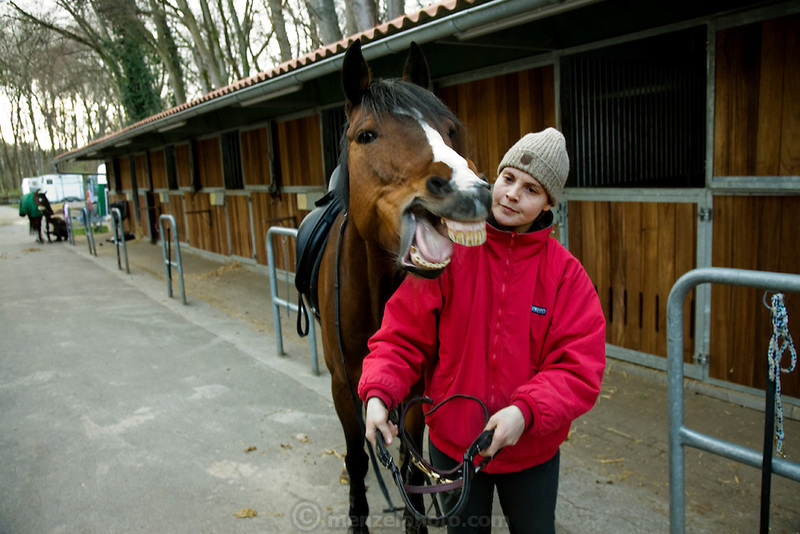 Robina Weiser-Linnartz, the Bread Queen, with her horse, Zorro, at a riding stable in Cologne, Germany. (Robina Weiser-Linnartz is featured in the book What I Eat: Around the World in 80 Diets.) The caloric value of her day's worth of food in March was 3700 kcals. She is 28 years of age; 5 feet, 6 inches and 144 pounds. MODEL RELEASED.